With summer approaching there’s no time like the present to ensure you’re getting the best out of your fridge so stop your food from spoiling with our top tips. Meat – Keep raw meat and fish at the bottom of your fridge in sealed packaging. This not only stops raw food dripping onto cooked food and potentially contaminating it with germs, but the bottom of the fridge is usually the coolest area so it’s the best place to keep these foods fresh. Milk, dairy and eggs – Milk is commonly kept in the door of your fridge, but this is actually the warmest place in your appliance. If you frequently find your milk going sour or your cheese going fuzzy, it’s worth rearranging your fridge contents and putting your dairy products in the main section of your fridge instead. 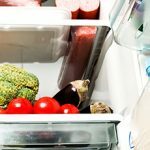 Leftovers and foods that don’t need to be cooked – The higher shelves in your fridge are the best place for keeping food at a constant temperature. Leftovers and foods that don’t require cooking work best on these higher shelves (and be sure to heat leftovers until piping hot when reheating them). Freeze what you can – Foods such as meat, fish, hard cheese, butter, most breads, berries and leftovers can all be frozen to keep them fresh for longer and make space in your fridge too. Take food out of cans – Storing food in open cans can give it a nasty metallic taste. Once a can has been opened, decant the contents into a cling filmed bowl. Avoid over packing – Leave space for air to flow around your fridge rather than cramming in food. If air can’t circulate this could lead to pockets of warmer air inside your appliance which can cause your food to spoil more quickly. Clearing out old condiments (that are probably breeding grounds for bacteria anyway) is a great way to make space. Don’t wash vegetables before storing – If your vegetables are damp they’re more likely to go mouldy. Take vegetables packed in non-breathable plastic bags out of their packaging as a sealed damp bag also encourages mould growth. Throw anything mouldy in your vegetable tray away as quickly as possible to stop mould spreading. Leave hot food to cool (but not for too long!) 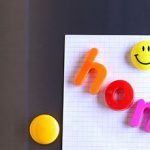 – Putting a piping hot dish in your fridge could raise the temperature and will make it work harder and use more energy. Wait until hot food has cooled before you store it, but on the other hand, don’t leave food out for too long or it will start to spoil. Try to get food refrigerated within an hour and a half of coming out of the oven. Keep food out of the fridge for as short a time as possible. Open the fridge door as little as possible. Avoid touching food wherever possible and always wash your hands before preparing it. Clean your fridge regularly with dedicated cleaning products to kill any lingering bacteria making your food go bad. If your food is still going off quickly there could be a problem with your fridge itself. 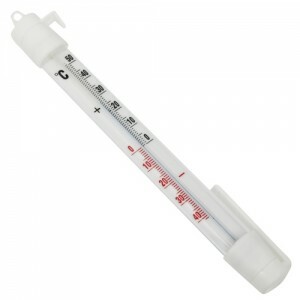 If you suspect your fridge is not keeping food cool enough you can get yourself a fridge thermometer to check. 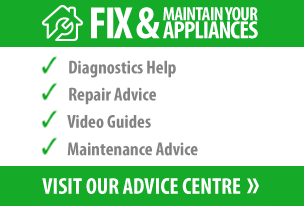 A fridge that’s not cooling effectively could be caused by a few different faulty components. If you hear your fridge motor stopping and starting the thermostat in your fridge could be faulty and need replacing. If the motor is running flat out you may need to replace the door seal in non frost free models or there could be an ice blockage out of sight in frost free models in which case your machine will need defrosting. It’s also possible your fridge could need its refrigeration gas replacing. Unfortunately this isn’t a DIY repair; you’ll need a qualified tradesman to replace the gas as only they will have the specialist equipment required. Otherwise if you want to fix your fridge yourself (which we highly recommend), browse our YouTube repair videos for step by step how to guides. Now you can enjoy fresh food at its best all summer long. We’ve got just one more parting tip for you that you probably already knew – no guzzling milk straight from the bottle!